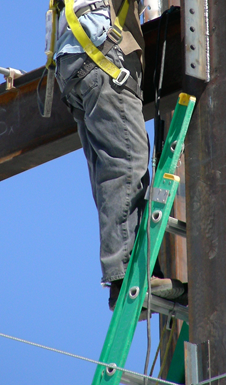 Did you fall from a broken or unsecured ladder while on a site doing construction? It can cause broken bones, neck injuries, back injuries, or even spinal cord injuries, paralysis, or death. The severity of a ladder accident may vary, but where a third party was at fault for your injury, you may be entitled to significant compensation for those injuries and disabilities. If you slipped and fell off a ladder or a scaffold at a construction site,you may not be at fault. Our attorneys at the Orlow Firm will look into the condition of the work site and check the safety measures and the condition of the ladder being used. Call (646) 647-3398, for a free consultation.